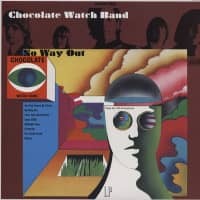 No Way Out, the thrilling debut album by the Chocolate Watch Band, immediately finds that cosmic sweet-spot of perfect garage-rock traction: where the rubber meets the road and the train keeps a-rollin.' Nobody ever did Mick Jagger any better (even Mick, himself) than the Watch Band's frighteningly superb frontman Dave Aguilar. "Are You Gonna Be There (At The Love-In)" and "Let's Talk About Girls" are on everyone's list of Top 20 garage rock anthems of all time. And that's just the tip of the vermillion iceberg for this essential longplayer. 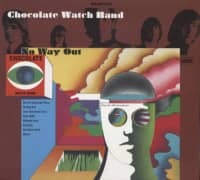 "Come On," an early Stones single, gets the perfect Watch Band overhaul, "Hot Dusty Roads" ventures down back alleys that Buffalo Springfield never dreamed about and "No Way Out" dances rings around the outskirts of your nearest Human Be-In. 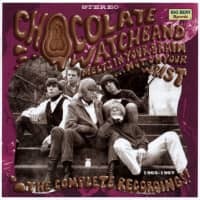 A San Jose, Calif. band whose reputation has grown exponentially over the decades, the Chocolate Watch Band are now revered as one of the Seven Wonders of the World of garage rock. 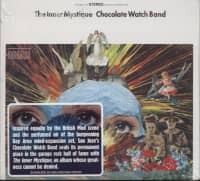 Spotlighting the classic lineup'the inflammatory vocals of Dave Aguilar and the roof-rattling guitars of Mark Loomis and Sean Tolby, fronting the rock-solid bass of Bill Flores and the letter-perfect drums of Gary Andrijasevich'the Watch Band's first two albums have it all. 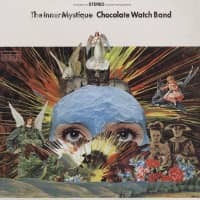 Stones swagger snake-hips its way through cosmic significance with just a dusting of eye-opening psychedelic legerdemain to make your neck snap backwards in pure joy. Customer evaluation for "No Way Out"